Discover why Australia’s Northern Territory is one of the best and most diverse destinations in the world. In this 8-day itinerary, explore the iconic wonders of Uluru, the rich Aboriginal history of Australia, the World Heritage-listed Kakadu National Park, and other natural wonders. Getting there: Round trip from Sydney costs about 260 USD. From New York the cheapest price we found is 1280 USD (30 hour trip and two connection), from Hong Kong the price for a round trip is much more reasonable – 563 USD. It is a good idea to combine this trip with another destination – for example Bali and Lombok since the round trip ticket Denpasar, Bali – Darwin, Australia is only 291 USD. 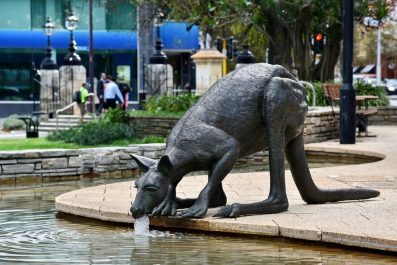 Getting around: Getting around Australia, where major tourist attractions are thousands of miles apart, can be a bit daunting and time consuming so it is best to explore by region. Flying is the fastest way to cover long distances but it is definitely not the cheapest option. 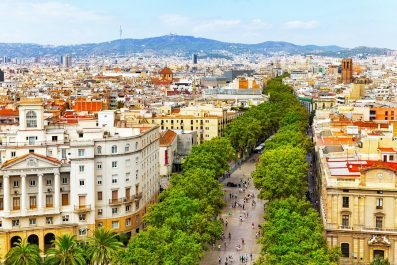 Public transport is more appealing to budget conscious travelers as Australia is served by trains, buses, ferries, light rail, trams and monorail. For the ultimate road trip adventure, driving is another fantastic option. Arriving from Darwin International Airport, the busiest airport serving the Northern Territory, travel to the city center which is 13 kilometers (about 8 miles) away. 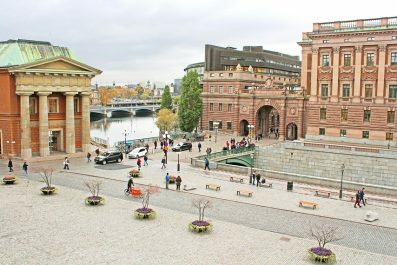 The city center can be reached by private car in 15 minutes and by public transport in 50 minutes. For first time travelers, it is best to stay at one of the hotels in Darwin’s city center as it is close to the most important commercial and cultural landmarks. Get settled in your hotel and rest for a bit before you go on a hop-on, hop-off minibus tour. This tour will give you great insights into the local and Aboriginal history of Darwin. Start with Myilly Point Historical Precinct, designed by architect B.C.G. Burnett in the 1930s. These tropically-adapted cottages are the only remaining examples of this particular pre-World War II housing style. Stop for a picnic lunch at East Point Reserve, a popular spot for barbecue which offers spectacular views of Lake Alexander. Then visit the galleries and gift shops on Smith Street Mall. Dinner by the water is another must try in Darwin so head to the Cullen Bay Marina. On your second day, get a historic fix on Darwin Wharf Precinct where Japanese bombs first fell during the World War II. Follow the historic walk down to the World War II Oil Storage Tunnels and read the boards so you will learn the history of Darwin and the bombings. There are many informative and great collection of old photos in this area so take your time inside. Have an alfresco lunch at the Australian Pearling Exhibition overlooking the jetty then travel to the Adelaide River Railway Station (Dorat Rd, Adelaide River NT 0846, Australia). Join the exciting jumping crocodile cruise in the Adelaide River in the afternoon (it costs about 25 USD per adult and you can find more info here). On your third day, start early and immerse yourself in World Heritage-listed Kakadu National Park, Australia’s largest national park. This natural and cultural wonder is around three hour journey along Arnhem Highway from Darwin. On the way, you may stop and explore the Fogg Dam Conservation on the lower Adelaide River. Spend the morning exploring the Aboriginal art galleries at Ubirr. Don’t miss to see the flora and fauna and Aboriginal rock art. After lunch, cruise the wetlands past waterfalls, crocodiles and migratory birds. Spend the night in Jabiru, which offers plenty of accommodation options and range of convenient services. Spend your fourth day cruising through the Yellow Water Wetlands with a local Aboriginal guide. Go bushwalking and barramundi fishing. 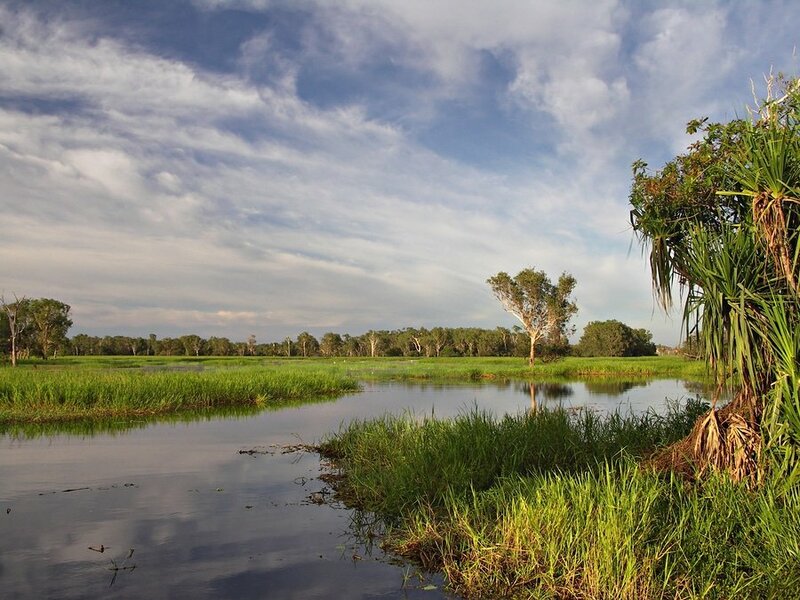 See the abundance of bird life in this area where you will spot the whistling ducks, radjah shellduck, magpie geese, Jacan, Jabiru and the graceful giant of the wetlands, the Brolga. By late afternoon, travel back to Darwin so you can relax before your early morning railway travel the next day to Alice Springs. Set off from Darwin at 10 in the morning aboard the legendary Ghan (a luxury passenger train between Adelaide, Alice Springs, and Darwin on the Adelaide–Darwin railway in Australia. Operated by Great Southern Rail, it takes 54 hours to travel the 2,979 kilometres – 1,851 miles – with a four-hour stopover in Alice Springs. Darwin-Alice Springs cost between 201 USD and 1750 USD, depending on the class of service. You can find more info about the trips offered by the Great Southern Rail here). Get settled and make your way to Queen Adelaide Restaurant carriage for a delicious brunch. With Platinum and Gold service, all meals are included accompanied by your choice of fine wines. After lunch the Ghan arrives at Katherine where you can take a spectacular day tour (check with the train crew what tours are available). Take a cruise along the Katherine Gorge, a series of sandstone gorges situated in the Nitmiluk National Park. Back on the train, have an early dinner and enjoy the sunset. At around 9 in the morning, the Ghan arrives at Alice Springs. Find a hotel or cabin that suits your preferences near Uluru and settle into the relaxed atmosphere surrounded by red desert landscapes. Outback Pioneer Lodge is popular for budget travelers whilst Desert Gardens Hotel and Sail in the Desert are for those who prefer luxury accommodation. In the afternoon, climb to the top of Anzac Hill and marvel at the views over the distant Macdonell Ranges. It is said that this twisted range is the oldest in Australia. Visit the Camel Farm and do a camel trek to the sandy Todd River. Then return to Anzac Hill in the late afternoon to catch the magnificent sunset. Rise early and enjoy the sunrise at Uluru. 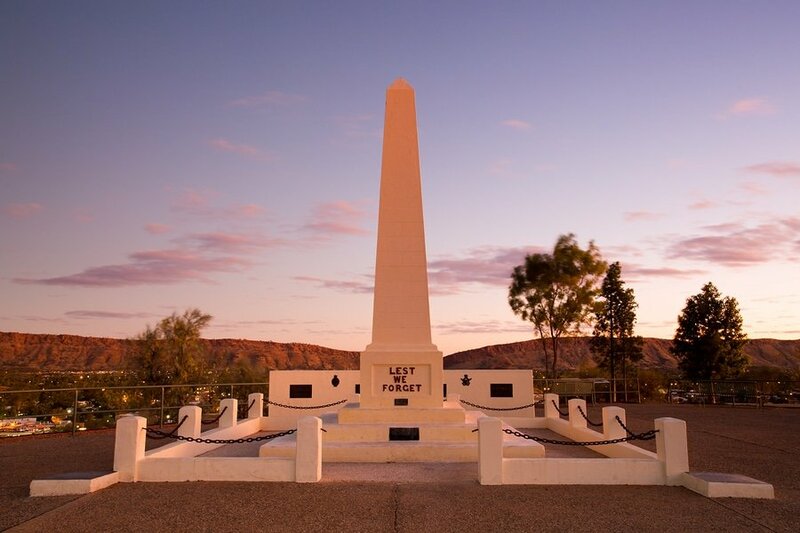 This Australian icon is 3.6 kilometers long and rises 348 meters from the vast red sandy plain. This vast monolith not only offers fantastic landscape, it is also a cultural and spiritually rele-vant site for one of the oldest human societies in the world, the Anangu (the Aboriginal landowners of Uluru). Researchers say the Aborigines lived in this area for at least 10,000 years. 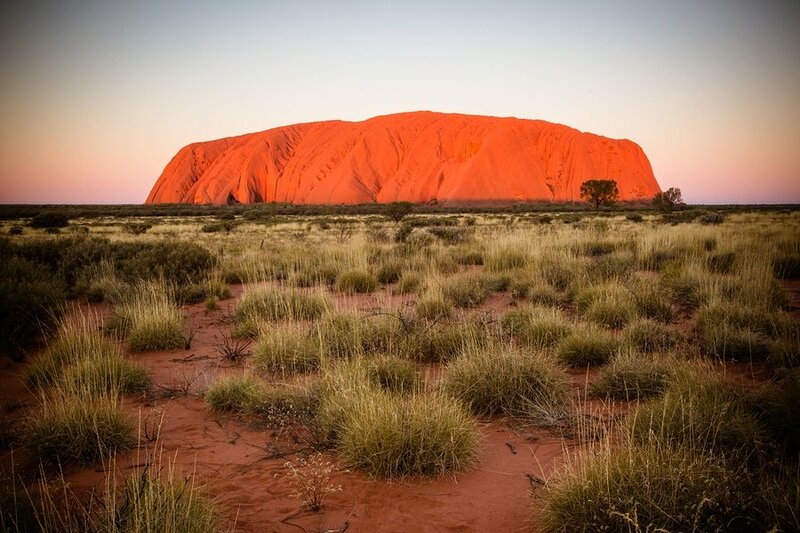 To appreciate the history of Uluru, it is best to avail the Anangu guided walks. Uluru is not just a massive rock, it also boasts many natural wonders such as Mutitjulu Waterhole. For thousands of years, this waterhole provides replenishment for animals and humans. 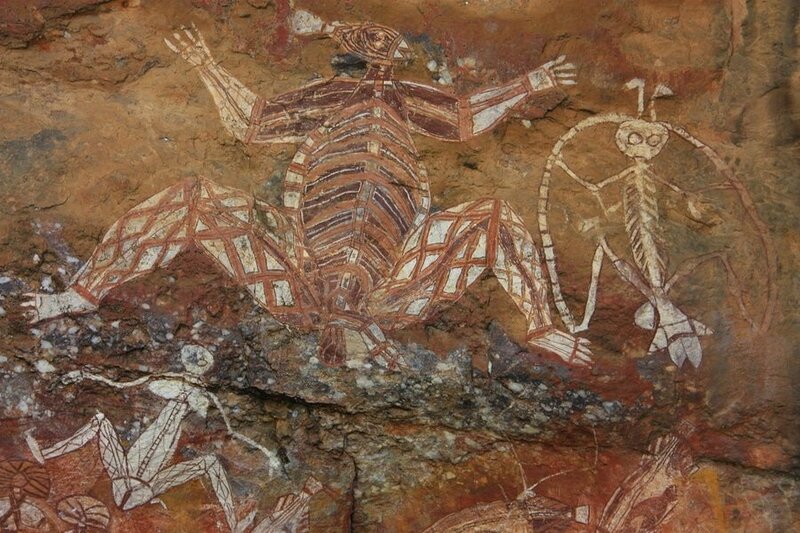 There are also several Aboriginal art rock sur-rounding the waterhole which were created by the Aboriginal people. These rock etchings with intricate pictures tell a story about the lifestyle of indigenous people many years ago. On your 8th day, avail a guided tour to the rim of Kings Canyon, located in the Watarraka National Park, about 4 hour drive from Uluru. Climb to the rim of Kings Canyon and be rewarded with a spectacular view. The 6 kilometer rim walk begins with a physically challenging 500-step climb thus this is only for people who are in good health and lead an active lifestyle. An easier route is the 2.6 kilometer long Kings Creek Walk which is suitable for all ages with moderate level of fitness. 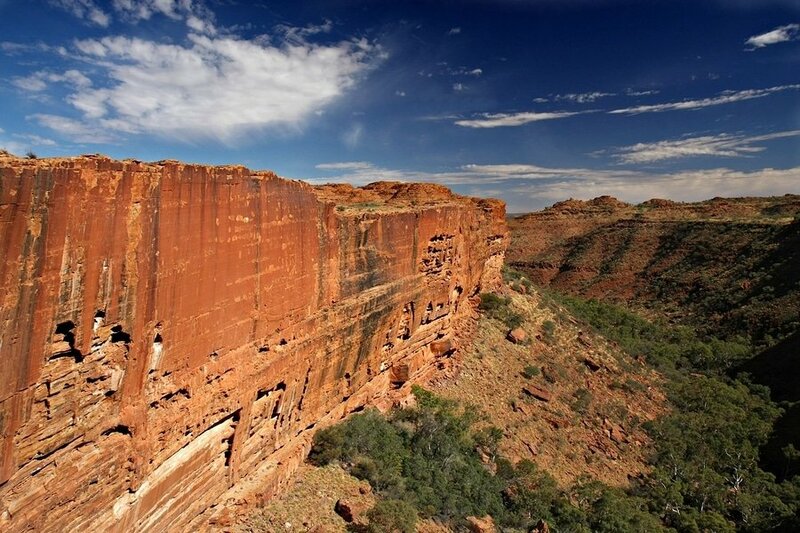 Similar with Uluru, there are guided tours offered at Kings Canyon. Travel back to Alice Springs and take a domestic flight to Darwin (the 2-hour trip costs 215 USD if you choose to fly with Virgin Australia). Air access across the Northern Territory has improved over the past year as more and more new flights have been added. Virgin Australia connects Darwin, Alice Spring and Adelaide. It is best to schedule your flight back home the next day so that you can relax a little bit in Darwin. This is the end of our 8-day suggested itinerary to the Northern Territory. If the pace gets too hectic, just chill out and prioritize which area you would really like to visit. Take time to interact with the locals as they provide the best advice when it comes to traveling in their country. This part of Australia may seem too big and distant, but it is a great travel destination rich in world class scenery and strong Aboriginal heritage. 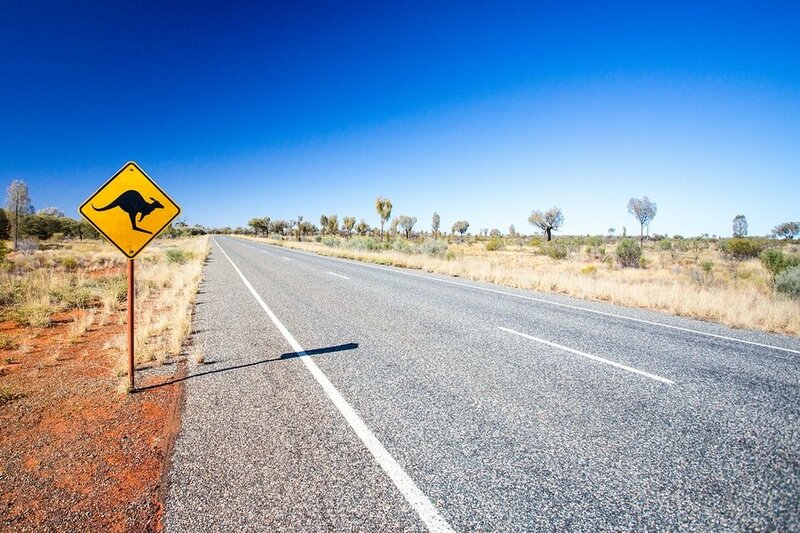 Welcome to the Northern Territory, Australia’s Outback! Have been to Darwin, Alice Spring or anywhere else in the Australian Northern Territories? Do you have any tips or suggestions to share? If so, you can leave your comments below.